EU leaders could agree on a Brexit extension — but only on the condition that British MPs approve Theresa May’s deal. They were the words of French President Emmanuel Macron as he arrived for an EU summit in Brussels today. He was referring to UK Prime Minister May’s request to put back the Brexit deadline by three months to June 30. 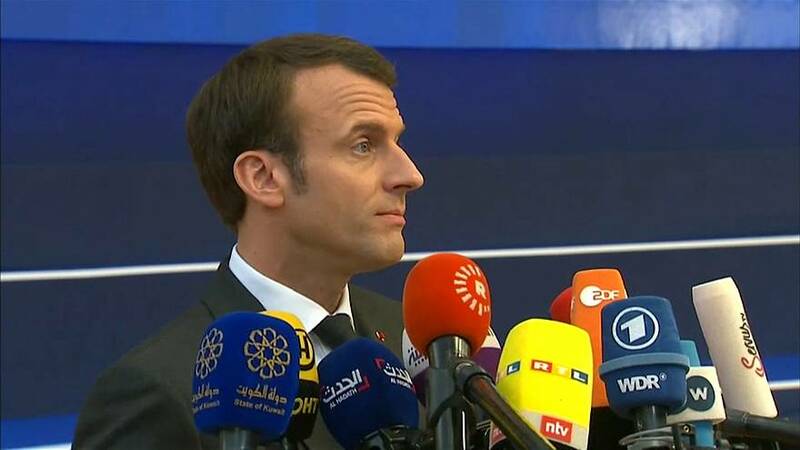 “But we have to be clear,” Macron told reporters. “We can discuss and agree on an extension if this is a technical extension in case of a yes vote on the agreement. In case of a no vote, I mean, directly it will guide everybody to a no deal, for sure. "If there is to be an extension, it can only be a technical one. We cannot have a long-lasting situation where there is no visibility, no purpose, no political majority. There must be a deep political change for there to be anything else other than a technical extension." British MPs have twice rejected the EU divorce deal that May has agreed with Brussels but there could be a third vote next week.